A powerhouse of never-ending ideas, Jack inspires even the dullest of thinkers to action, with his quick mind and effervescent attitude to life. It was his deep community commitment that led to the development of BBC. While it was a lifelong dream to own a microbrewery, BBC was built not, in fact, to provide him with endless beverages (though that is an undeniable benefit), but for the economic development that a business with international export potential can bring to a region like Bundaberg. 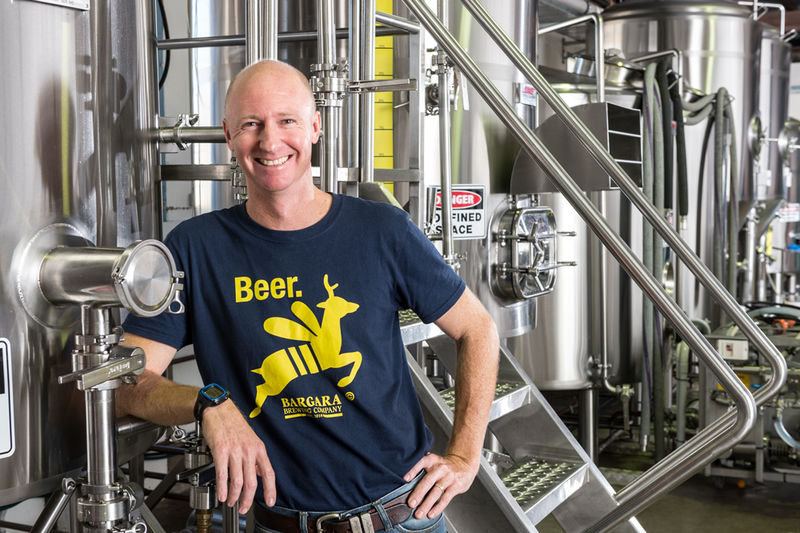 It has been a big year for Bargara Brewing Company since its inaugural Winterfeast event in 2017. The boutique brewery in Bundaberg's CBD is focussed on producing the best quality brews from local fruit and vegetable seconds and is building a reputation in a very crowded marketplace. BBC is continuing its worldwide expansion, with distributors in South Korea, Vietnam, China and Japan as well as bars and businesses along Australia's east coast snapping up the local favourite. In January, in partnership with international-favourite Lady Elliot Island Eco Resort, the home of the manta ray, BBC launch their new Ray XPA. BBC was a part of the lobbying efforts that saw the tax cut on craft beers, which will allow small producers to invest in and grow their businesses. Jack and the team have also taken BBC to the road, becoming a crowd favourite at beer festivals around Australia as well as at trade missions across Asia. Where Can I Drink Bargara Brewing Company Brews this Winterfeast? Enjoy beer and BBQ behind closed doors at a revised and untapped Brewfeast event. Where Can I Buy/Try Bargara Brewing Company Products? Pop into the home and factory site of Bargara Brewing Company, The Brewhouse to sample and buy their beautifully crafted boutique beers. Grab a pizza from their restaurant and a tasting platter for the perfect afternoon with your mates.